The increasing sophistication of digital signage as a dynamic communications medium has seen a rapid evolution in the use of LED displays across a range of applications, with new uses emerging all the time. Representing the best of a new breed of LED dynamic digital signage solutions, the new slimline Imposa™ Lite from Messagemaker offers an intelligent display system designed for durability and reliability, with the flexibility in configuration to meet any requirement. The availability of 4.4 trillion colours and outstanding brightness of display, with messaging and imagery (including the capture of video content) controlled by sophisticated, programmable software offers limitless design possibilities. LED has emerged as a leading technology in the digital graphic signage market, offering a real alternative to neon and LCD or plasma screens. Incorporating high quality Nichia or CREE chips, the Imposa™ Lite provides a high definition, vibrant display that stays bright and sharp for over 100,000 hours. 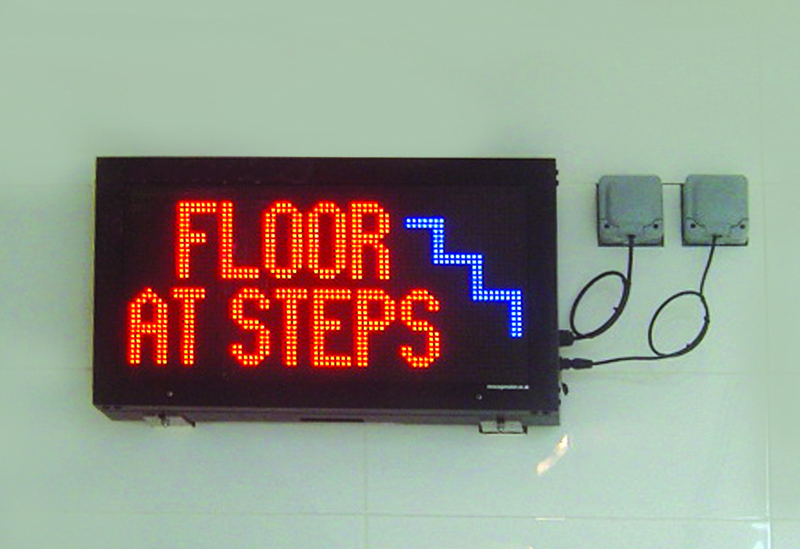 A lifetime on average 4-5 times longer than other technologies means LED signage systems are extremely cost-effective by comparison with other technologies, measured in whole-life terms. With energy efficiency and environmental impact now also becoming key business concerns, the low energy consumption of LED displays and the contribution to a paperless environment are also major considerations with specifiers. The slimline profile of the Imposa™ Lite screen and its configurability provide maximum scope for designers with the potential to create interesting and unusual shapes. A frameless design allows panels to be joined for a virtually seamless display that becomes a natural extension of its surroundings, with the potential to achieve uninterrupted displays across both corners and curves. Imposa™ Lite’s intelligent software effortlessly interprets changes in screen configuration, automatically refreshing images and text so that they are always correctly displayed. Available in a range of pixel pitches from 4-12mm, the Imposa™ Lite offers an effective ‘big screen technology’ display solution, with a range of screen sizes available. The unique design of the Imposa™ Lite’s cast aluminium cabinet offers improved durability without adding weight, making it ideal for surface-mounting as well as for floor displays in any location. With screens in use for up to 16-24 hours a day, reliability is a critical factor for suppliers and end users whether renting a system or purchasing it outright. The cast aluminium manufacture of the Imposa™ Lite’s casing keeps the unit cool during extended use, while on-board diagnostics provide advance notice of failure, enabling system downtimes to be avoided or minimised. Easy access from the front or rear of the unit simplifies maintenance, and the modular design of the LED display means faulty units can be replaced in under three minutes. Starting at around £5,000 per square metre, the Imposa™ Lite system offers all the advantages of modern LED technology at a significantly lower cost than LCD screens and without the visible lines typically seen on larger multiscreen systems. The Imposa™ Lite system is the latest addition to our comprehensive portfolio of advanced display systems, offering a range of solutions for indoor or outdoor use from Single colour LEDs in red, green, yellow, blue or white to full matrix Tri-Colour LED and RGB Solutions.